The Cathedral Diamond Engagemnt Ring. A traditional and classic style that will never go our of style. Designed with the shank sloping up to the girdle of the diamond adding a extra layer of protection for your main center diamond. The Cathedral Diamond Engagement ring also allows more area for designers to customize them to be more stylish and allows space for customizations such as colored stones, accent diamonds or even custom engraving. 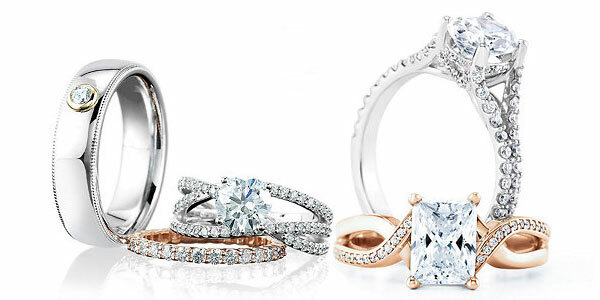 At Houston Jewelry we stock a great selection of Diamond Cathedral Engagements rings. Stop in our showrrom today an allow one of our jewelry specialists to assist you in picking our the perfect engagement ring for you.